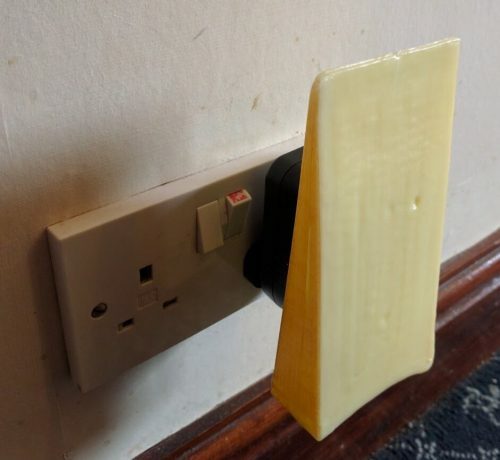 Owners of The Courtyard Dairy in Settle have developed a brand-new ‘air freshener’ that gives off a cheesy whiff! The device is incorporated into a simple 13A plug that can be left plugged into any standard socket. 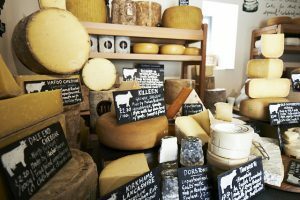 It then periodically releases into the room a strong smell of cheese, perfect for disguising unwanted nasty odours such as ground coffee, freshly-baked bread, perfume and flowers, leaving the room with a delightful cheesey smell instead. The ‘air freshener’ will be launched on sale today. It comes with three settings to allow the user to pervade the air with the cheese smell they like best: ‘Stinky & Pongy’, ‘A Brie Whiff’ or ‘Mild Cheddar’. 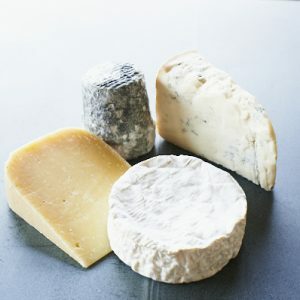 It retails at £3.35, with refills of cheese odour available from £2.00, and will be available exclusively from The Courtyard Dairy in Settle or online at thecourtyarddairy.co.uk.